I start in the classroom with my players and display on the erase board how we set up the 1-3-1 defense and the numbering of players. I later do this on the court. #1 is the top position, #2 is the baseline position, #’s 3 and 4 are the wing positions and #5 is the center position. 1. We will contest all shots. 2. We will limit 2nd shots. 3. There must always be good ball pressure. 4. Players must always be in stance. 5. Each player must know where the ball is – that determines each player’s position. 6. Players must always be in the correct position on the court. 7. Players must talk constantly. 8. Each player is trying to create deflections – we will get our share of loose balls. 9. No one will work harder than our team. 10. We will be smarter than our opponents. 1. Our defense will disrupt the offense. 2. We will play the 1-3-1 with tough MTM principles. 3. Our defense is going to be the hardest working and smartest defense every day and on every play (there is no vacation time). 4. Keep the ball out of the middle. 6. 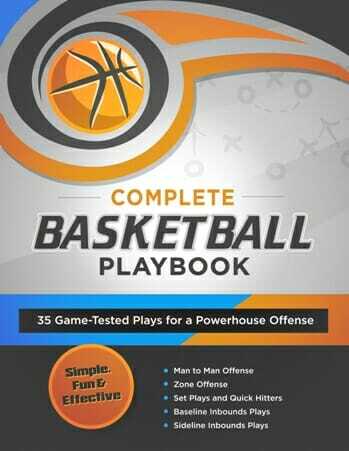 Players must understand what passes we must take away from the offense (we will not allow quick ball reversal). 7. Wing players (#’3 and 4) must play their man in order to funnel them sideline to baseline. 8. We want to defend half of the court. 9. Players must understand what the offense is trying to do against their defense. 10. Players must believe it. 1. Bounce – stay on your toes. 2. Must play in stance with hands up and out (be aware of passing lanes). 3. Must move with your hands out. 4. Look to deflect passes and take away some vision. 5. Read eyes and move when the ball is in flight. 6. Always go hard to ball – we want the offensive players dribbling and driving not catching and shooting (produces decision making). 7. All players move as one unit. 8. Must have good spacing with no gaps. 9. Do not allow quick reversal of ball. 10. Must communicate on every dribble, every pass, every shot and every move the opponents make. 11. All players must be ready to help inside. 12. Defense is played inside out. It is the coach’s responsibility to place players in the right position. In the early practices, I tell players they must learn two positions and eventually just play one. This allows players to play as hard as they can and to know where they need to be when the ball is at a certain point on the court. We don’t want indecision. When players play very hard, it means they must rest. That gives another player a chance to play, develop and gain confidence. The 1-3-1 can allow your team to rotate 10 players. Each position then has a starter and a back-up. With that, fouls, sickness and injury impact your team less. Players are happier too because they know they are going to play. I tell players, if you are in the top 10 you are going to play. The early challenge is to get players moving with their hands up and keeping them up. Players must always stay in stance. I want to hear my players talking and not their shoes squeaking on the floor. The ball is not allowed in the middle. That is everyone’s responsibility. Most of my teaching is done by the whole method, 5 on 5. 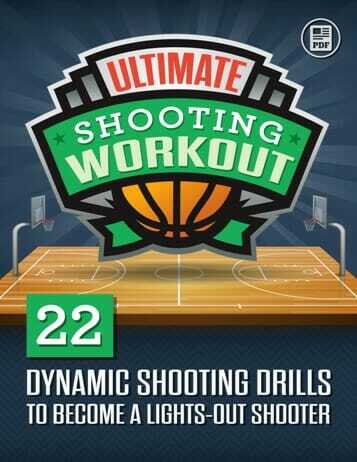 I do some 5 on 4 and 4 on 3 drills, but I have found the whole method is very effective. I set up an offense to play against the 1-3-1 defense. The first one is the 2-1-2 attack which is what we see a lot. We stay at half court and work very hard so that the players get the idea of their responsibilities and their slides. We keep track of the offensive possessions vs. the 1-3-1 in order to show players the effectiveness of this defense. At this point, I am simply teaching players to execute the rules, techniques and philosophy of the defense. They must learn to be in the correct position based on ball position. In addition, players are learning the characteristics of the various positions listed above. In the early practices, I will give the offense 10 possessions to try to score against the 1-3-1. I stop the action and teach as necessary for players to understand the defense and the positions. When players are getting the idea, I make it a drill so when the defense stops the offense, they become the offense. They can pass or dribble the ball out to half court and then attack the defense. The offense becomes the defense and sets up in the 1-3-1 defense. It gets players moving, talking and helping. We do a lot of this! When the offense scores, the defensive team is off the court and another defensive team must quickly move on the floor and in position. If I don’t have another 5 defenders, then subs must enter the drill. They must do this quickly because the offense, after scoring takes the ball to half court and then attacks the defense. This drill promotes awareness, movement, communication among players and help all at game speed. 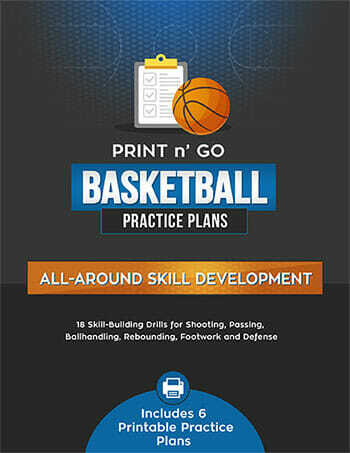 For more defensive skills and concepts you can use in a 1-3-1 Zone, Man to Man, or any defensive strategy, check out the Team Defense Drillbook. Don Klaas has been the head basketball coach at College of DuPage for 34 years (1978 to present). His career record at DuPage is 730-363 for almost a 70% winning percentage. His teams have averaged 21 wins per season for 34 years. His teams have won the North Central Community College Conference (N4C) 12 times and have won the Region IV Tournament 7 times. His 2001-02 team won the Division III National Championship. 75 of his players have gone on to four year schools with scholarships. Great,Great advice! I coach 5th and 6th grade. I will definitely share this at practice tonight. Thanks so much!